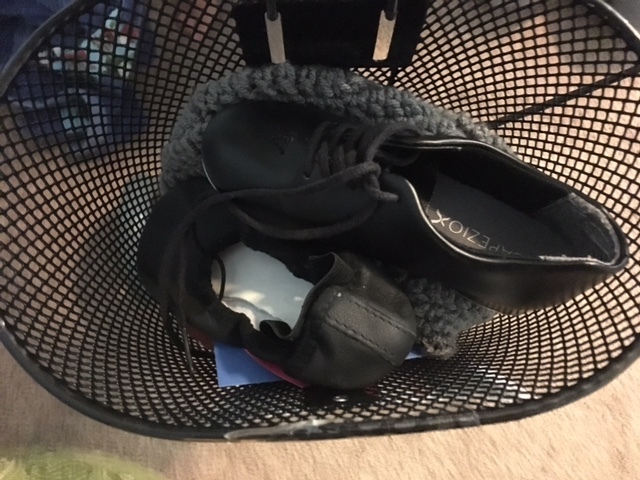 Last Monday night he asked me to put his ballet and tap shoes in his scooter basket so that he would be ready for class in the morning. I loaded them up and he fell asleep with a smile on his face. Tuesday morning came and he was ready to go. 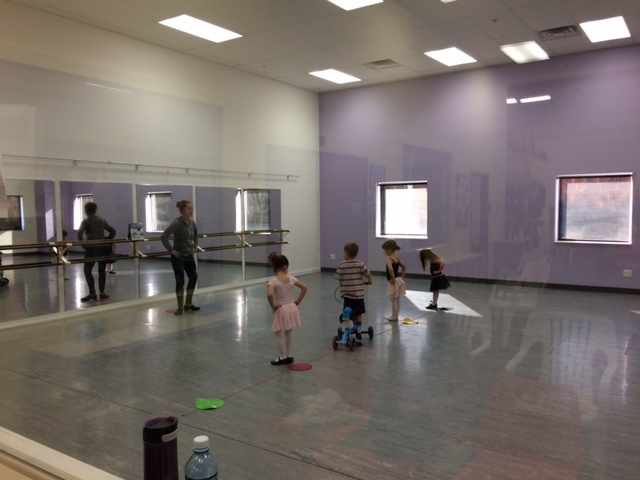 Cast on left leg and tap shoe on the right he was set to learn his Christmas Dance. And I don’t think anyone could wipe the smile off his face. 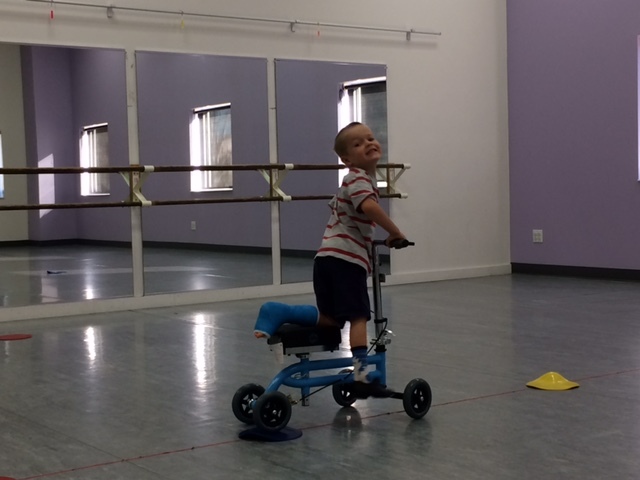 Part way through class they switch to ballet and Miss Summer was set to practice arm and leg movements and so from his chair Caedmon followed along. He was so proud of himself and I was so proud of him. I was a good lesson and reminder to me too. 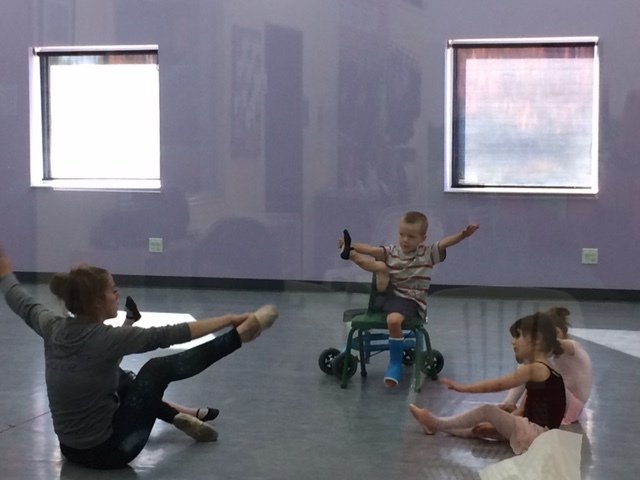 We often look at the “casts” on our legs and think we can’t dance, when in fact we still can, we have other feet that we can put our dance shoes on, or we can sit and use our arms. Our dance may look a little different, but it’s far better to be dancing in whatever form we can than sitting on the sideline wishing we could be out there dancing. Sometimes you just have to dance with one leg or while sitting down, but still dance despite the obstacles in the way. Previous Post Milk and Diapers….